The final report of The Rochford Review of statutory assessment arrangements for pupils working below the standard of national curriculum tests was published earlier in the week. As I've been busy this week, then recovering from being busy, the first I knew was when a reporter from School's Week rang for a quote. I advised her with one eye half-open to ask Barney, and then went back to sleep for the rest of the day as I'm still getting over shoulder surgery. The independent review was undertaken by a team of experts, including parent carer reps, chaired by Diane Rochford. Its remit was to consider the best way to ensure that pupils who have not completed the relevant key stage programmes of study, and are therefore working below the standard of statutory testing arrangements, have the opportunity to demonstrate attainment and progress at primary school under the government’s new assessment arrangements. "We will consult on the report’s recommendations in early 2017. Final decisions will be made following that consultation. In the meantime schools should continue to use the pre-key stage standards and P scales for the statutory assessment of pupils working below the standard of the national curriculum tests." Performance scales (P scales) were designed to sit below the level descriptors used to assess the old national curriculum. 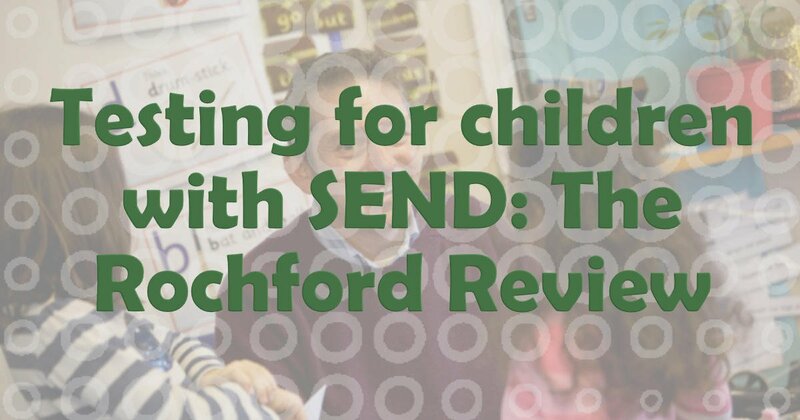 It is currently a statutory requirement to use P scales to assess and report the attainment of pupils with SEND who are not working at the standard of mainstream statutory assessments. It then says that given the range of problems and challenges associated with P scales, it would be better to stop using them and develop a new approach to assessment that is more appropriate for the varying needs of pupils working below the standard of national curriculum tests, better aligned with the new national curriculum, and allows for more fluid progression onto wider forms of statutory national assessment. Further work should be done to consider the best way to support schools with assessing pupils with EAL. You can read the report in full here, and it is full of interesting findings and, dare I say it, holistic, findings that I think many parents will welcome as very positive. However, I don't see a lot of point in going into them in depth here until we know whether, and which ones, are actually going to happen. If you have any views, please leave them below in the comments. Instead, what's far more interesting to me is what a parent thinks. Steph Curtis, over at Steph's Two Girls has written her own review of the review and what testing at primary school means to her and her daughter who has autism. I'm delighted to announce that Steph has finally agreed to become a columnist for us and she will add a vital viewpoint of being the parent of a girl with ASD and also Pathological Demand Avoidance, which as we know, is something quite different from being a boy with the same conditions. Here is her view of the report and of testing of a child whose profile is very 'spiky'.